You usually don’t think of cucumbers in a hot dish, but they make a perfect sautéed side, much like you would sauté zucchini. 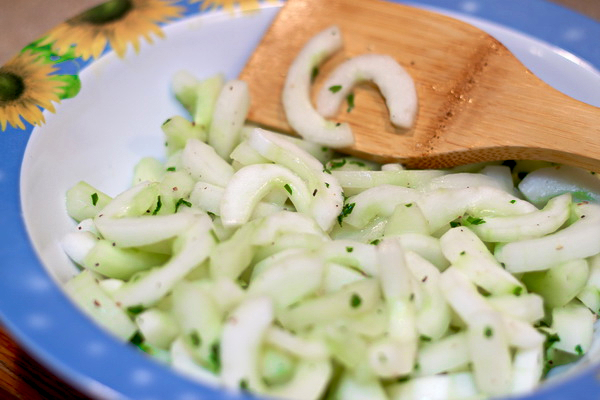 Peel cucumber, cut in half, remove seeds and slice, sprinkle with salt. Melt butter in a skillet and sauté cucs 3 minutes. Remove and sprinkle with chopped parsley.